We hope you're used to holding on to your ink ribbons. 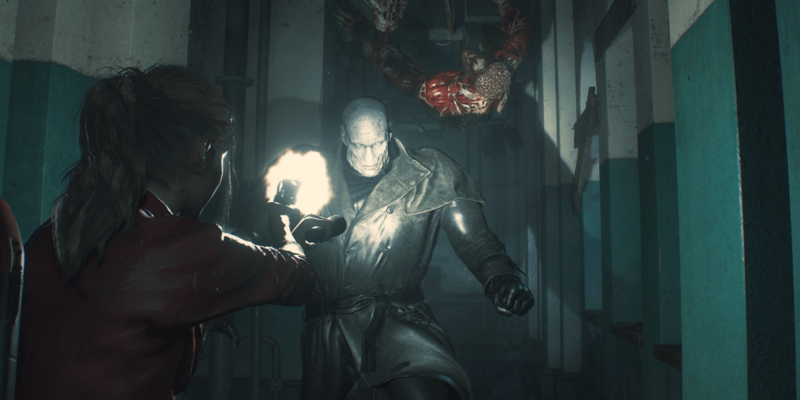 We are just about one week away from the highly-anticipated release of Resident Evil 2, and believe it or not, there still remains new details to reveal ahead of its ship date. First of all, in the spirit of the originals and the replays required to get the full experience, how long is a playthrough going to take? 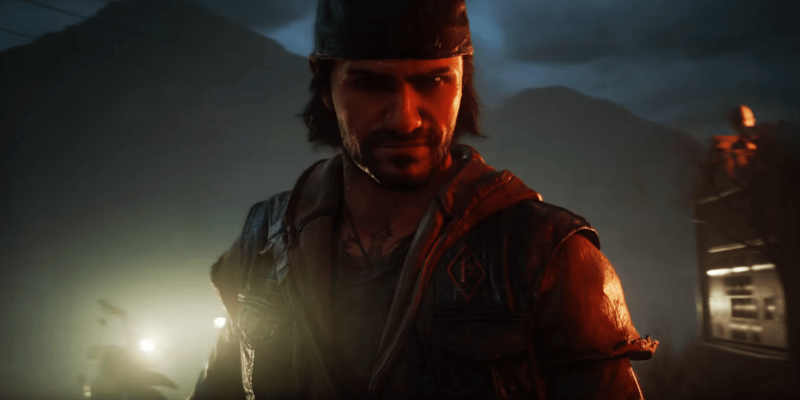 As reported by Wccftech, director Kazunori Kadoi and producer Yoshiaki Hirabayashi were asked about the length of the game and revealed that it will take about 10 hours for each character to complete their scenarios. Given that players will want to play through both Leon and Claire's campaigns, that is a decent amount of playtime right out of the gate. 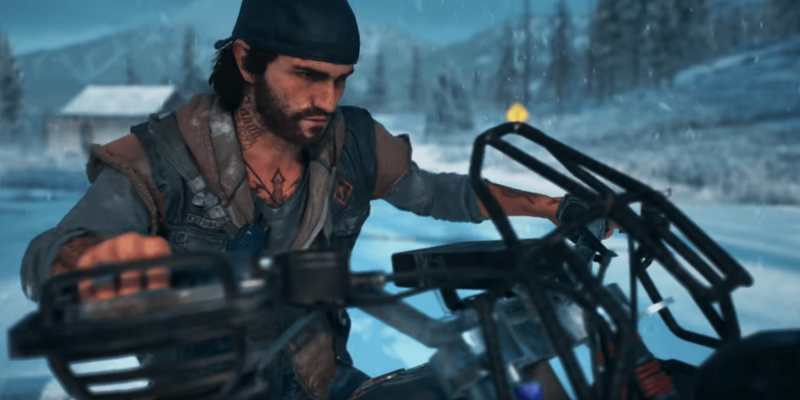 Furthermore, there exists the possibility that this game will include A and B scenarios much like the original, which could effectively double that combined 20 hours of gameplay up to 40 if you want to check out all the variations the game has to offer. All in all, it looks like fans eagerly awaiting this remake are going to get their money's worth when the title is finally out. 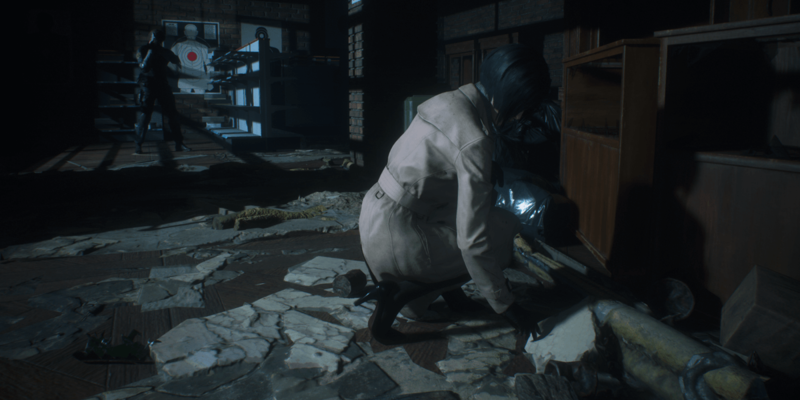 Another update came from the game's official social media accounts, which revealed earlier today that the hard mode for Resident Evil 2 will play more like the original in one key way: saving the game. In hard mode, Capcom explained, auto-saving is disabled and the only way to save your game is with an ink ribbon, just like in the classic installments of the series. 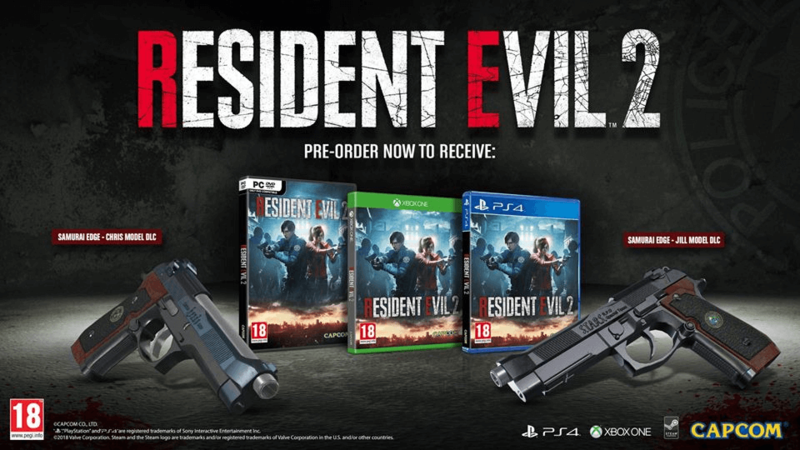 Furthermore, there are a limited quantity of these items so you will have to conserve them in true Resident Evil fashion. With the days until release counting down as we speak, we couldn't be more excited to finally get our hands on this one and experience classic survival horror all over again, only this time revamped for a modern age. 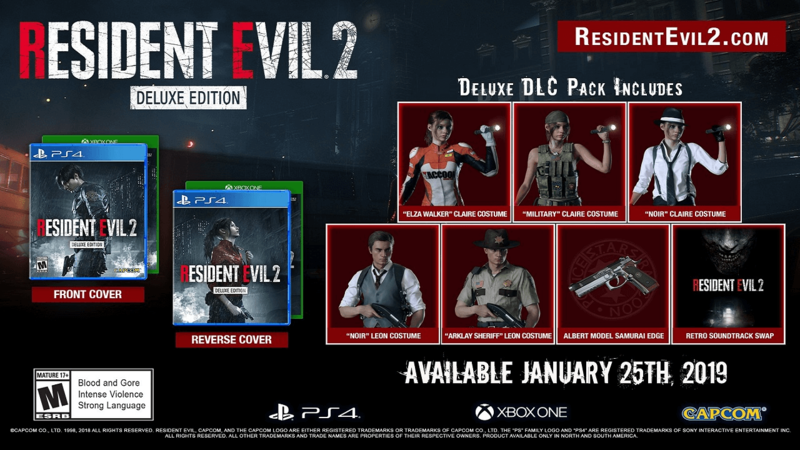 Resident Evil 2 will hit stores on January 25th, 2019. Tech-savvy owners of the PC demo are looking for clues about the game from within its files. In case you missed it, you can find a recap of the game's bonus content below, including a look at the deluxe edition, which features additional costumes, reversible slipcover artwork, a special weapon, and even a throwback to the original game’s soundtrack. All pre-orders will also include the classic Jill and Chris models of the Samurai Edge handgun. 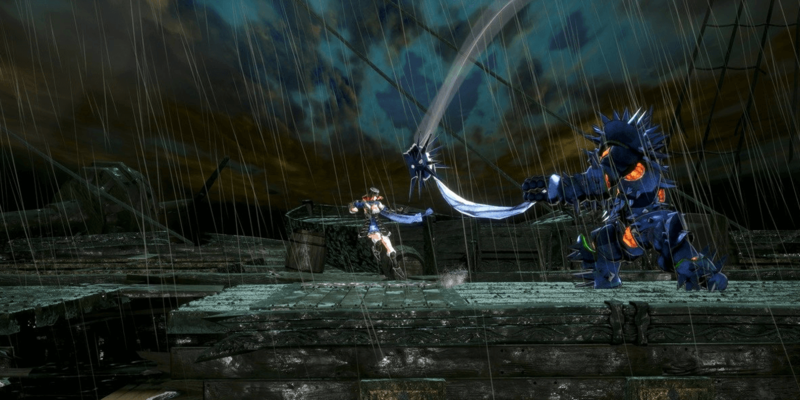 The most interesting bonus costume for the deluxe edition, in our opinion, is Claire’s "Elza Walker" outfit. Long-time fans of the series may remember this name and look from the unreleased beta version of Resident Evil 2, dubbed Resident Evil 1.5 by fans. Back then, the game was far along in development before the concept was scrapped and Capcom settled on the classic game we all know and love, which is, of course, the one now being remade. Claire also has a military outfit while she and Leon both have a special "Noir" costume. The latter very much gives us a vibe for The Evil Within. Leon's other bonus costume, the "Arklay Sheriff" outfit, pays homage to The Walking Dead and gives our rookie police officer the more polished look of Rick Grimes.